Under 21 racers will benefit from a half-price race entry scheme designed to make racing more affordable for the cash-strapped youth. 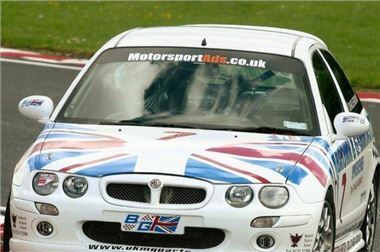 Anyone under 21 on 1 January 2009 will benefit from half-price race entry fees at all MG Car Club race meetings in 2009. The first MG Car Club race will be full price and the entrant/driver will receive a half-price voucher against their next entry. Each subsequent entry will receive a similar, half-price voucher with the last race of the year being free, provided of course that they have the voucher from their previous race. has encouraged us to provide this financial incentive to bring more youngsters into the sport. To race in our championships, the minimum age is 16 years old, provided they have passed the ARDS test." For further information, please call the MG Car Club, tel 01235 555552. Race is by invitation, but if you wish to receive an application, please call Steve Carr at the MG Car Club office, tel 01235 555552. The race coincides with publication of a book which records the MGCC North West Centre entries at Le Mans in 1959, 1960 and 1961. These were disguised 'works' entries after the MG Car company officially withdrew from Le Mans following the 1955 accident. first 25 entries for the race will receive copies of the book, fully autographed at the presentation. Entries are sought from all makes - including, of course, MGs, but they must be of a type which raced at the classic long distance race during the period. The outright lap record will be under threat from EuroBoss cars, when they are guests of the MG Car Club meeting on 30/31 May 2009. The event will host two races for the EuroBoss series, which caters for F1, Champ Cars and F3000 cars up to 2004, without a capacity limit. This should be a stunning spectacle on the Indy Circuit and the word is that the EuroBoss regulars are very keen to get back the outright lap record for the circuit. Races for EuroBoss are to take place on both days. In addition, there is a very full racing programme, including Porsche, Equipe GTS, Dunlop Motorsport News Championship and a number of exciting championships specifically for MGs, which will ensure almost non-stop action throughout each day.